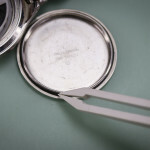 Call it what you want, magic, a watchmaker’s best friend, watchmaker’s putty, no matter how you put it the little bar of Bergeon Rodico cleaning compound is something a watchmaker should never go without. 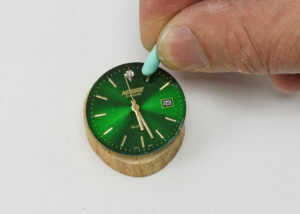 Although the original green putty was designed to clean small and delicate watch parts, it’s just as commonly used for a variety of other handy reasons while working on watches. Due to the consistency of the putty it gives you precise control over where and what you are cleaning or grabbing. 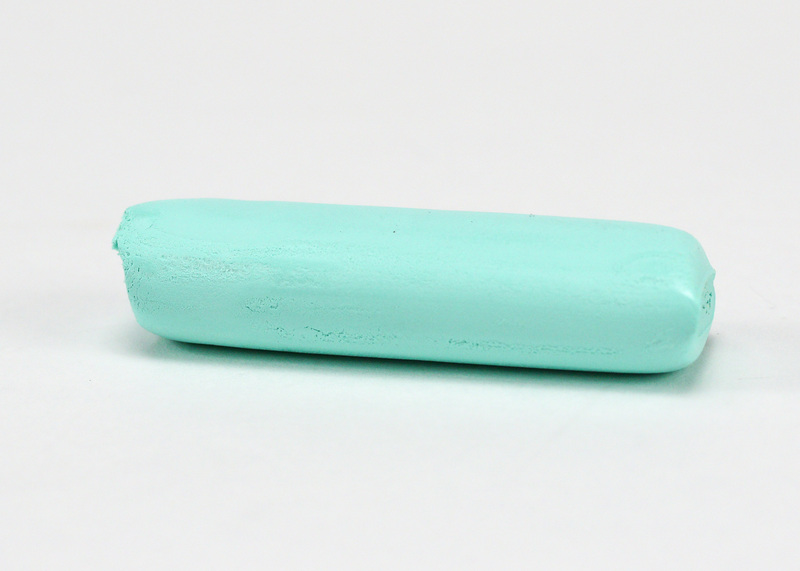 Take a look below at the many ways you can use Rodico cleaning putty and learn expert tips on getting the most use out of a single bar of Bergeon 6033 Rodico. 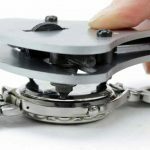 Remove oil and fingerprints from watch parts. Cleans Movement Plates, Bridges, Dials, Balance Pivots, Train Wheel Pivots, and Gears. Removes oil and crud from tools. Quickly removes dust and debris. 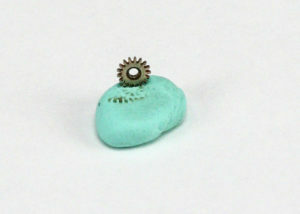 Works great to easily pick up and maneuver small watch parts like jewels and screws. Removes broken off pieces of pegwood. 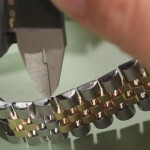 Hold or position a watch part or tool at your workbench. 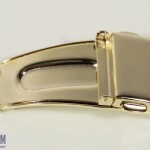 Use to grip and open a case back without marring the case. Removes dirt and oils from jewelry as well! 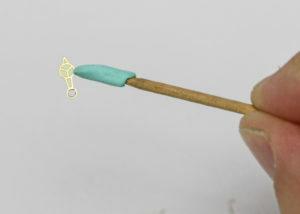 Pull off a small piece and form before applying. Always start with a fresh and clean piece for optimal cleaning applications. Use latex gloves to avoid adding new dirt and oils to your freshly cleaned watch parts and to prevent the Rodico from getting soiled faster. Rodico will darken in color as it becomes soiled, heavily used Rodico can be re used for dirtier applications such as: cleaning up your work space before repairs, temporarily sticking tools or parts in for quicker access during repairs, and can be used as an aide in unscrewing case backs. Prolong the life of your Rodico by keeping it wrapped up when not in use to prevent from drying out and breaking easily. 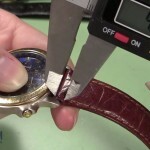 Don’t use Rodico on warm watches, warm parts, or warm tools, as it will turn to a slime consistency from the heat. This includes where you store it while not in use, avoid leaving it in warm areas like directly below a bench light or next to a heated cleaner. Don’t force it down into a jewel as it could possibly remove too much of the fresh oil. 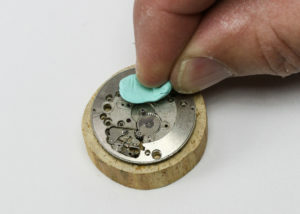 Place on a tip of pegwood for precision control over your cleaning and placement of parts. If a piece of Rodico is to break off in a small space, dab with a another small piece of Rodico to remove it. Dab or Wipe Motion? Most of the time a light dabbing motion is all you need and will provide you with residue free cleaning, a rolling or kneading motion may also be used. 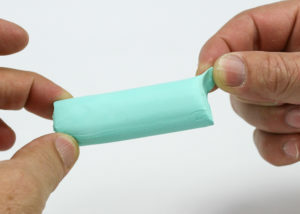 Where as a wiping or rubbing motion gives you a higher chance of the rodico leaving a slight residue behind, especially in the case of using older Rodico. Rodico will age in time, discontinue the use of a bar once it starts leaving a residue behind. 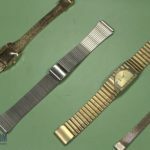 Some watchmakers swear that a well kept bar of Rodico can stay fresh and last for more than 10 years, while others who use it religiously can easily go through a single bar within a few months time. Keep a backup bar on hand, you’ll thank yourself later. Do you have even more uses or tips for Rodico not listed here? Please share the creative ways you have used Rodico in the comments below.